Del. Lionell Spruill, Sr. will be hosting one of his infamous pancake breakfasts this coming Saturday, April 14. Former (and future?) gubernatorial candidate Terry McAuliffe will be in attendance along with a slew of other local elected officials. 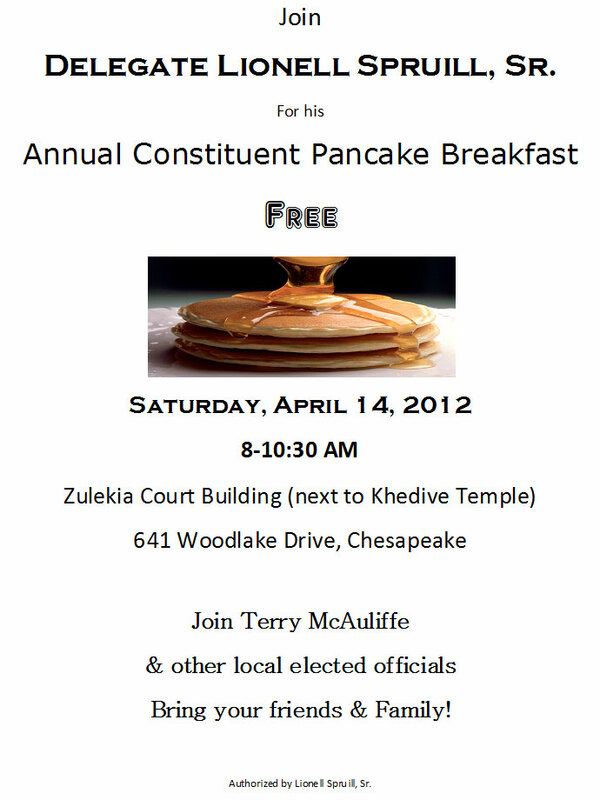 Breakfast is served from 8am-10:30am at the Zulekia Court Building, 641Woodlake Drive, Chesapeake. I know where I would be if it weren’t for the tax filing deadline 😦 Go and have a pancake or two for me!